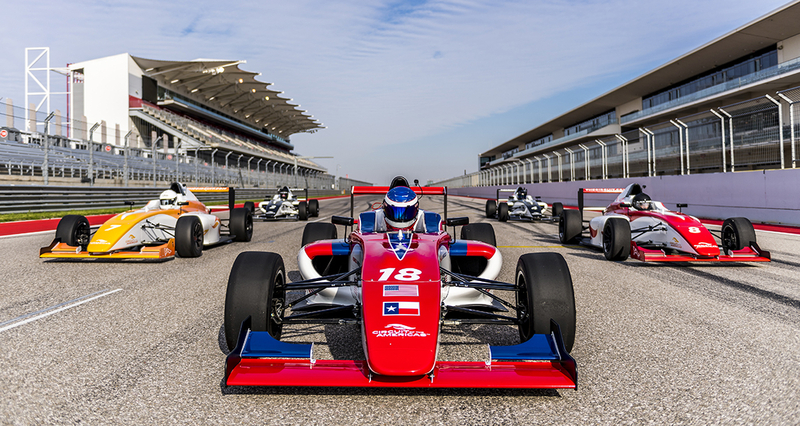 Circuit of The Americas is proud to announce the new Formula Americas Driving Experience. The Formula Americas Driving Experience is the third world-class driving experience offered by the only purpose-built Formula 1 track in the United States, following the Audi Driving Experience and COTA Karting. The Formula Americas Driving Experience is the ultimate open wheel driving experience, putting the driver in the cockpit of one of the world's most advanced open-wheel race cars. With Formula Americas, anyone who has dreamt of being a race car driver can make that dream a reality. The 90-minute Formula Americas Experience includes a brief classroom session and track orientation in our fleet of luxurious Audi vehicles. Drivers will then strap in for laps on the 2.3 mile National Circuit and three open-wheel laps around the full 3.4 mile Grand Prix Circuit. The program is priced at $650. The Formula Americas Driving Experience launches Sunday, June 10. For more information or to book your seat, please visit bit.ly/FormulaAmericas.